Are Insurers Lagging Behind in Cloud Solutions for Small Business? To stay competitive, it’s imperative that insurers adopt cloud solutions for small business. Small agencies that still have on-premise hardware are now at risk of lagging behind consumer demand, according to the latest from thought leaders in the industry. Nipping at the heels of these small businesses are insurtech companies – digital upstarts in the industry that leverage the very technology that some small agencies are still reluctant to adopt. This article takes a look at how the insurance industry may have some lingering doubts about the cloud. But insurtech is forcing the holdouts to finally change their IT infrastructures — or fall hopelessly behind. When you think of innovation, you probably don’t think about insurance industry models. But cloud solutions for small business are irrevocably changing this industry, including other traditional business models, such as accounting and the law. It seems no industry is safe from digital disruption, and the effects of cloud technology have finally started to change how we buy, sell, underwrite, and service insurance policies. The big players in insurance have started using telematics, even though the technology has been around for a decade. An article by the National Association of Insurance Commissioners cited a study that showed 70% of carriers would be using telematics by 2020. It should be noted that telematics is an Internet of Things (IoT) process, where hardware sensors and cloud technology come together to capture data – and lots of it. This data is changing how insurers underwrite policies, subsequently improving risk estimations that will both lower premiums for good drivers and positively impact the insurer’s bottom line. Attracting low-risk policyholders is job one in the insurance industry, and the cloud is the tool that will help them do it. Immediate, real-time data will increasingly replace historical data for risk prediction and pricing models. Policy protection will be sold in a “marketplace exchange” allowing the immediacy of “just-in-time” policies purchase via cell phone. Policies will evolve from reactive policies based on external behavior to proactive policies designed to reward for good behavior. The data insurers capture will create new opportunities to create new channels based on customer behavior. The biggest opportunities will come from the economies of scale found in digital frameworks. Artificial intelligence deep learning tools and blockchain technology will be the next disruptors in the industry. Insurers are struggling to adapt to the immediacy of customer needs. That’s why even the largest carriers are adopting hybrid cloud models that incorporate both on-premise hardware and cloud-driven technology. These models are allowing them to better respond to a 360-degree channel of service encompassing agents, direct policyholders, internal sales teams, and independent brokers. The insurance industry is going to change radically in the next five to ten years. 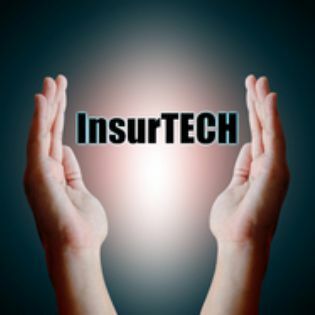 While consumer demand and their embrace of the cloud and the technology it has enabled are driving it, it also is being pushed internally by insurtech innovation. Between consumer demand and the competition posted by start-ups, traditional small agencies will need to respond in order to keep their businesses moving forward. Embracing cloud solutions for small business is the logical response to industry disruption. There is no reason that creating cloud solutions for small business can’t be conducted in a methodical process that lessens the perceived security risks that some firms are still struggling with. If you’re ready to start your cloud journey, talk to TOSS C3. We have the solutions to keep your firm competitive and secure in the cloud.